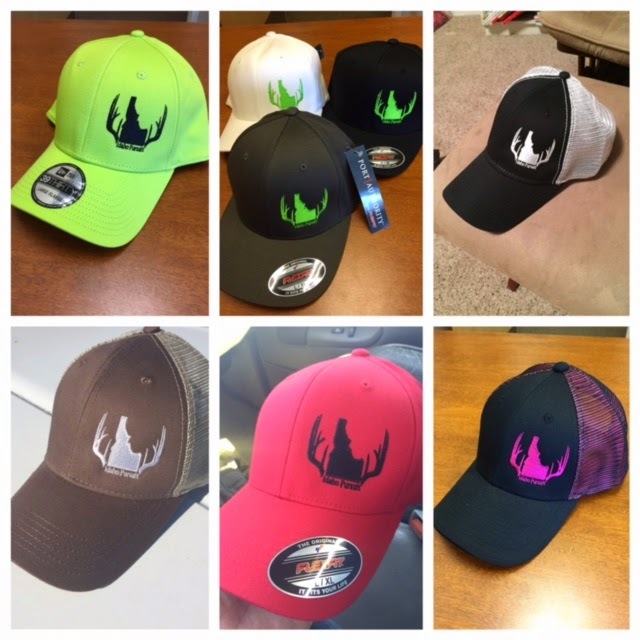 As outdoor enthusiasts we know that there are lots of companies who do a lot of the same types of things or make the same types of products. The benefit of this is that we can have a variety to choose from as well as compare different products to see which one is a better fit for us personally. When someone prefers one company or product over another, it is important to recognize that this is their preference and that their take on it may be useful for you to make a decision but it is still important to find which product works best for you. This is exactly what happened to me recently when considering backpacking meals for my adventures! I'll be completely honest... I saw a review posted on Journal Of Mountain Hunting on Heather's Choice Meals for Adventuring comparing these meals to the typical Mountain House meals many of us hunters/hikers have used. When I first saw the review I was skeptical (mostly due to the price of the meals) yet still interested and wanting to know more. I started doing a bit of research on their website as well as checking into a few other companies as well. The first thing that peeked my interest is seeing that the Heather's Choice Meals were dehydrated rather than freeze-dried. I have dehydrated a lot of foods and know that dehydrating is a great way to have light weight quality foods that still taste great. The second item that grabbed my attention about Heather's Choice meals were the ingredients... Check this out... Imagine a meal with these ingredients: wild caught Alaskan sockeye salmon, peas,carrots, potatoes, powdered coconut milk, dill weed, cayenne, white pepper, vinegar powder, and sea salt... Sounds taste right... Now how about this one: 100% grass-fed elk, onion, carrot, celery, zucchini, yellow squash, garlic, purple potatoes, thyme, rosemary, sage, marjoram, tomato paste, plum tomatoes, sea salt, and black pepper. The third item that really stood out to me was not until a few months after I first heard about Heather's Choice meals... My son who is only a year old was recently diagnosed with having Celiac Disease which is extremely rare for a child this young. Long story short, our whole lives have changed quite a bit in regards to the food we have around the house. My wife and I have been pretty good at keeping some food storage around the house in case of emergencies which primarily consisted of backpacking meals that I would rotate through during my hunting and fishing adventures... Well the unfortunate part with that is that many of the standard backpacking meals are not gluten free, and then those that are are typically spicy which is not ideal for my one year old son. My heart not only sunk at the thought of how I was going to take my son on backpacking adventures, but also of the thought that in an emergency, my son wouldn't be able to eat many of the foods we had for such a situation... I started looking again at all of the companies and products I had researched months earlier and to my surprise, ALL of Heather's Choice meals are gluten free! These meals are gluten free, dairy free, and follow a Paleo diet. In other words, the person who made these meals has graduated with a degree in Evolutionary Sports Nutrition and went on to study at the Institute for the Psychology of Eating in Boulder, Colorado and has used all of her knowledge/education to provide meals that are healthy, tasty, and give it the fuel needed in every condition. This may not seem very important to those who can have gluten or dairy, but to someone like me who needs to meet my son's dietary needs, this is HUGE! With these factors, I decided to make an order and try out their meals. I ordered two of their buckwheat breakfast, two different Packaroons, an Elk Sheppard's Pie, and a Sockeye Salmon Chowder. As soon as the package arrived, my 1 year old son and I devoured the Packaroons. Over the next couple of days we quickly went through the meals we had ordered. With the primary consumer in mind being my son, we were hoping he was old enough to talk and let us know how he liked the food. As a typical 1 year old, he would act like he liked it, then he would stop eating it so we were a little confused on his take on the meals for a child that young. I enjoyed the meals and felt that they were a great hardy meal that would be awesome while camping, hiking, or backpacking. 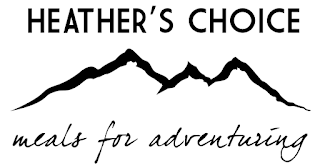 The Heather's Choice meals weigh 4 ounces and their snacks weigh 1.8 ounces. The packaging is much smaller than your typical Mountain House Meals while carrying just as much, if not more, food in each pouch. 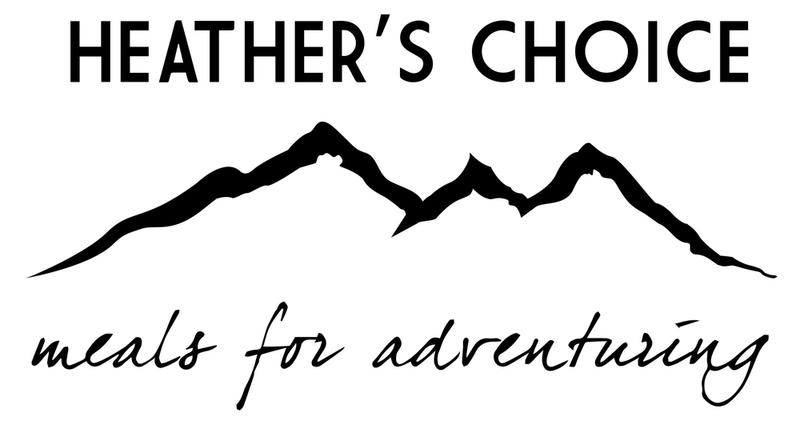 I would encourage anyone to at least check out Heather's Choice Meals and see what they have to offer. Especially if you have dietary needs like my son, these meals are a great way to have high quality food while on your adventures!